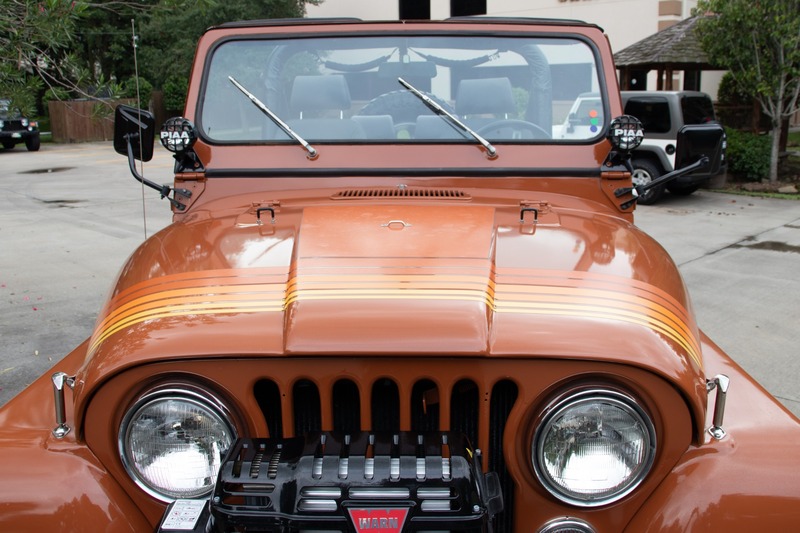 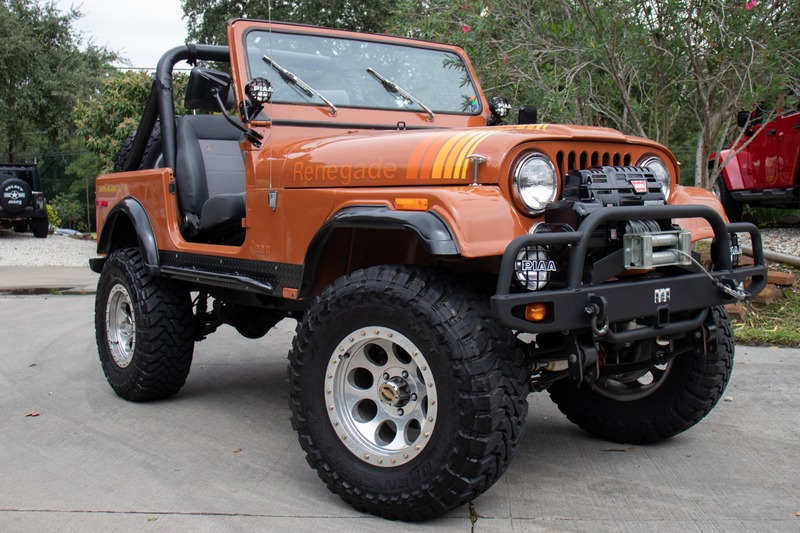 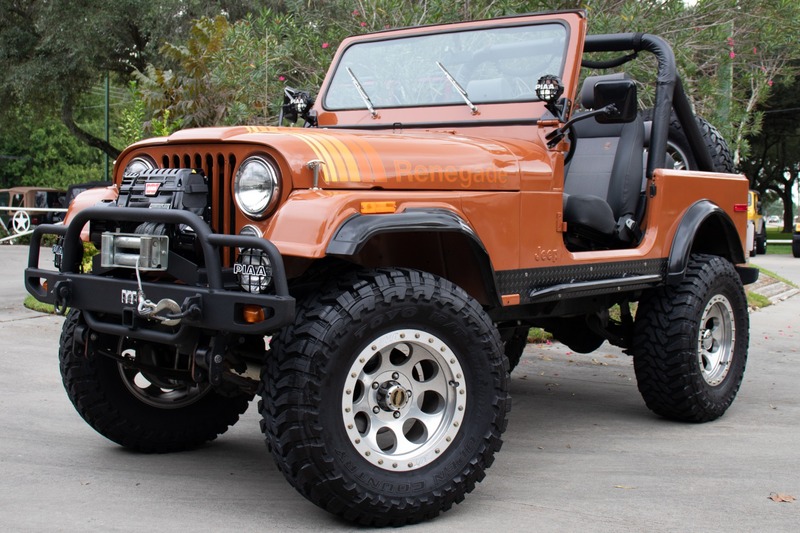 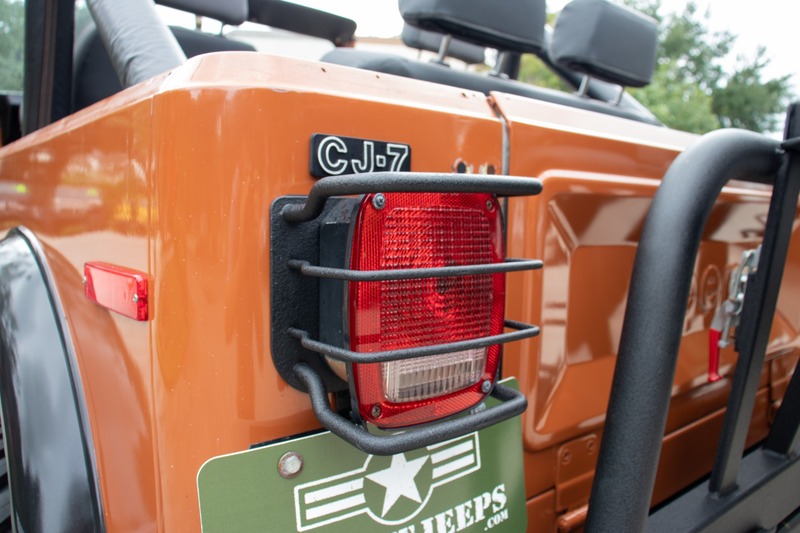 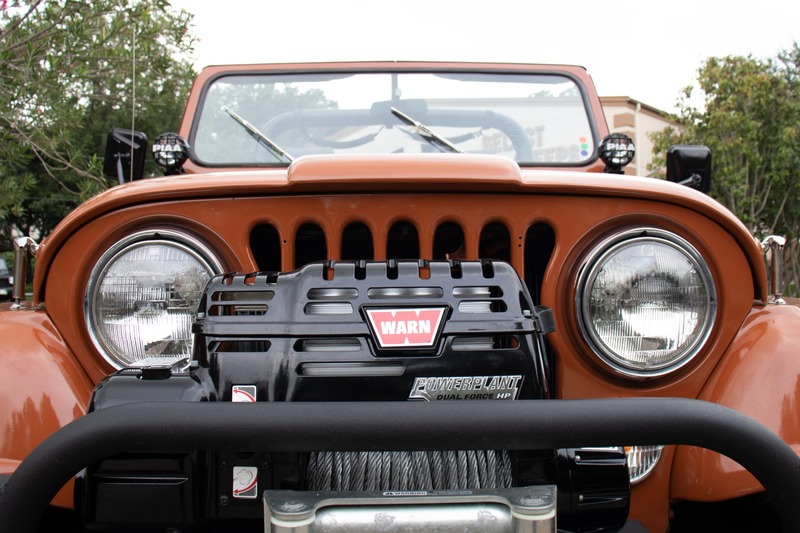 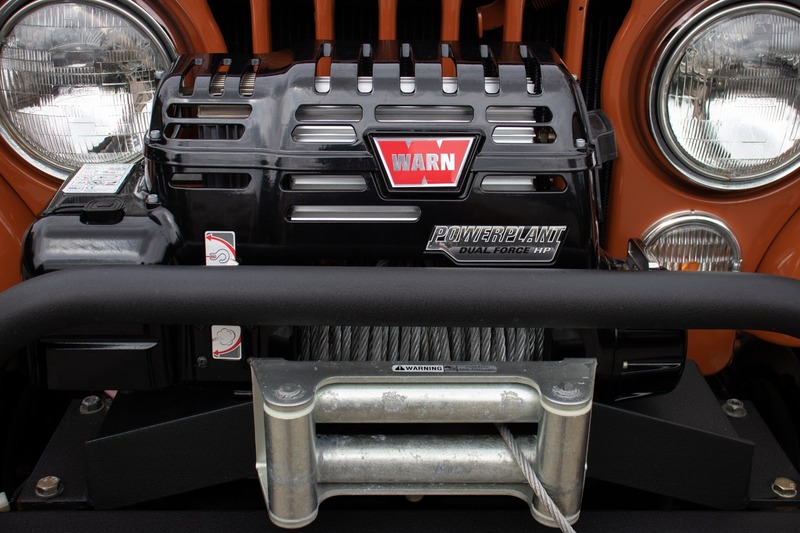 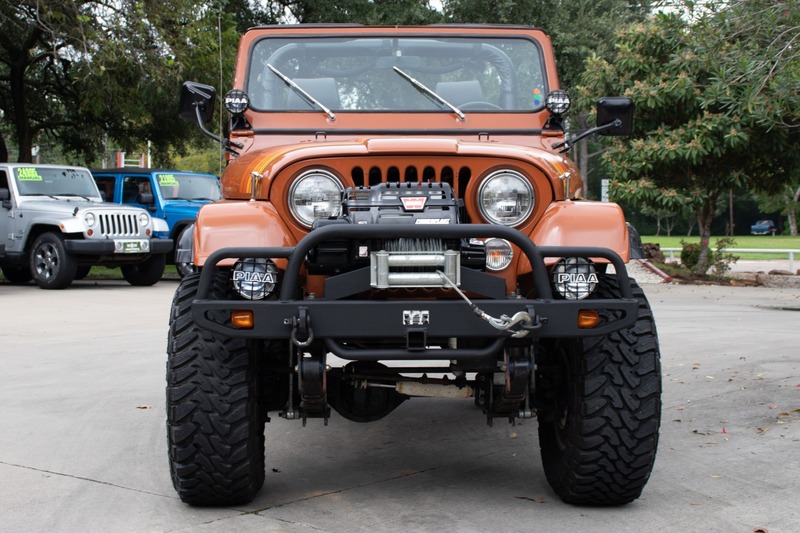 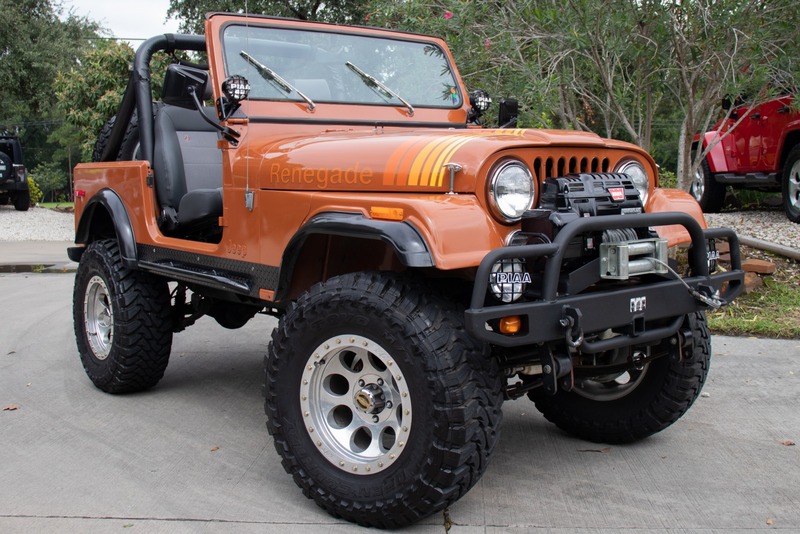 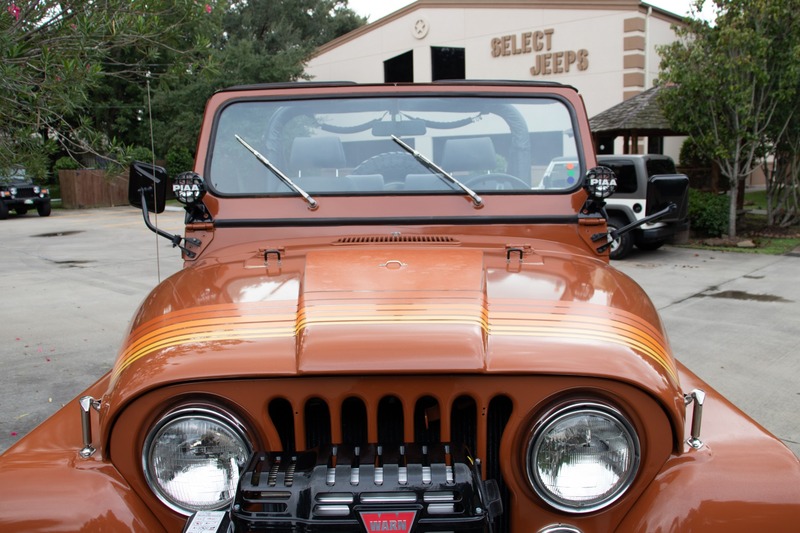 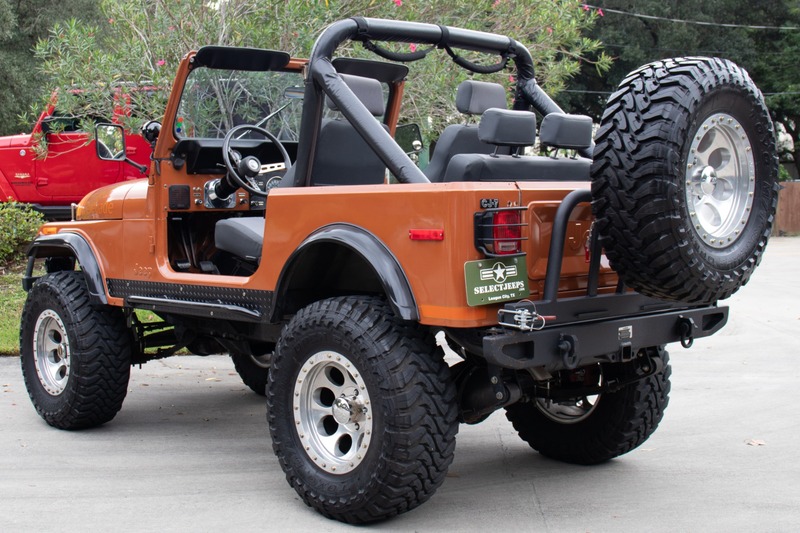 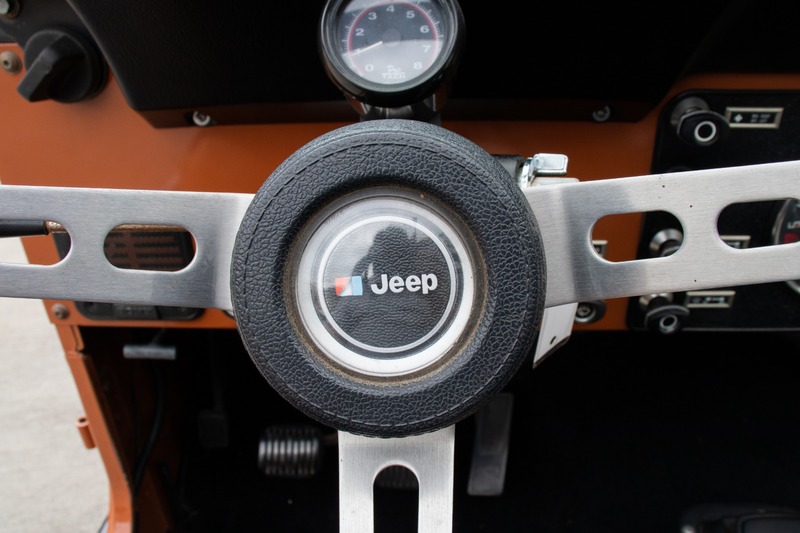 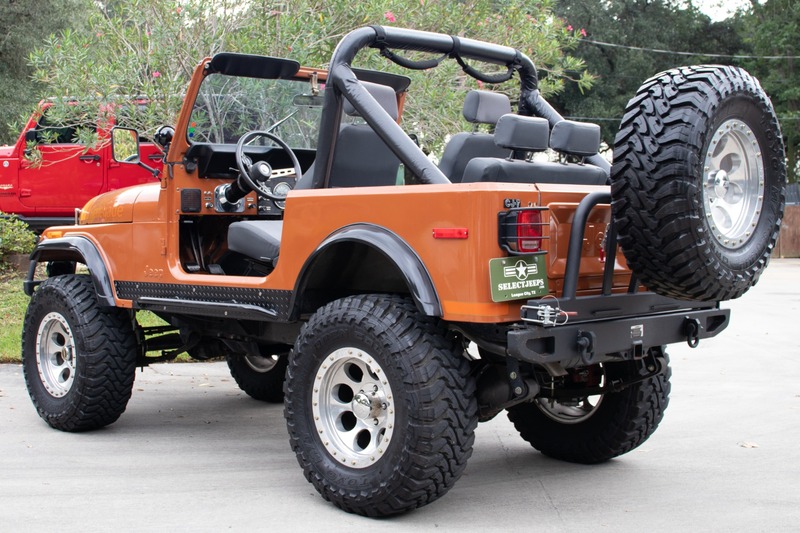 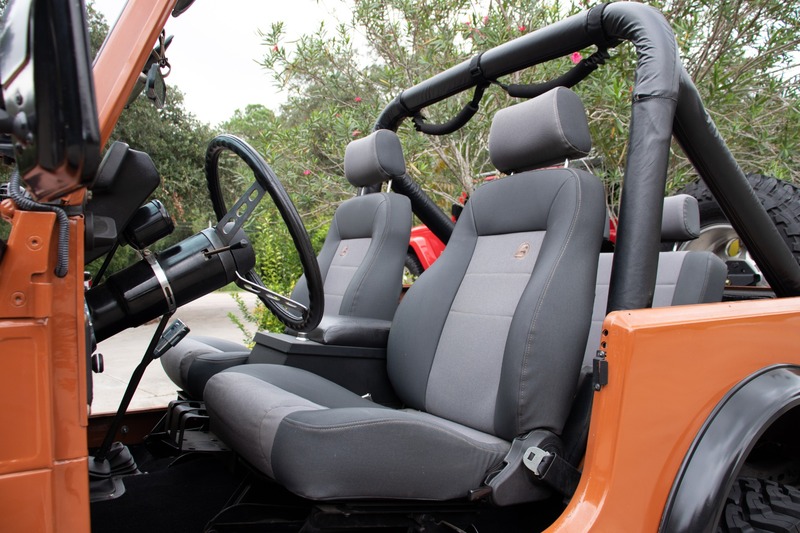 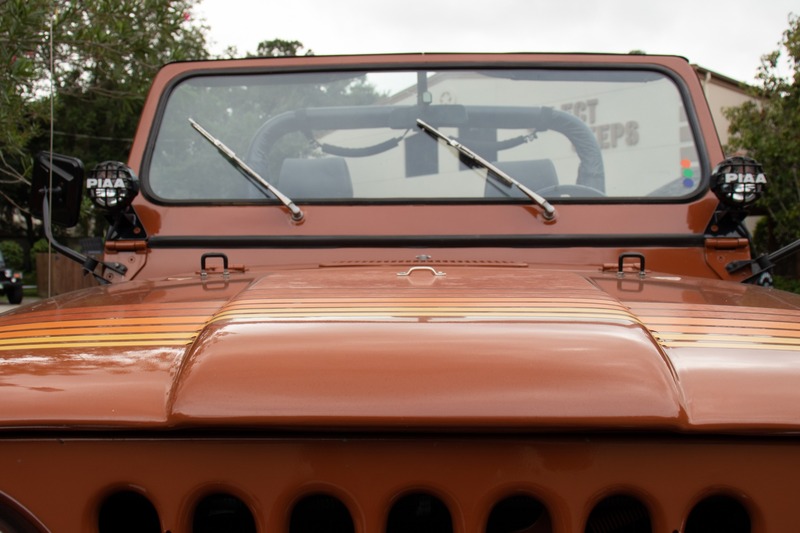 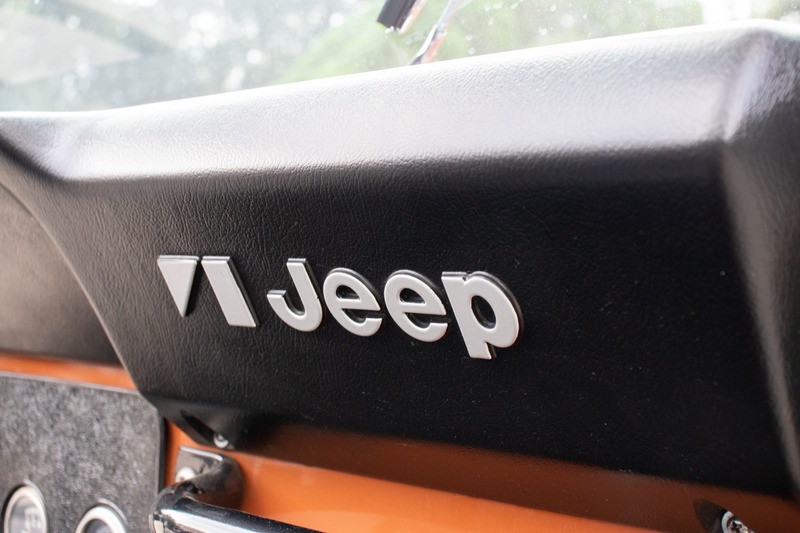 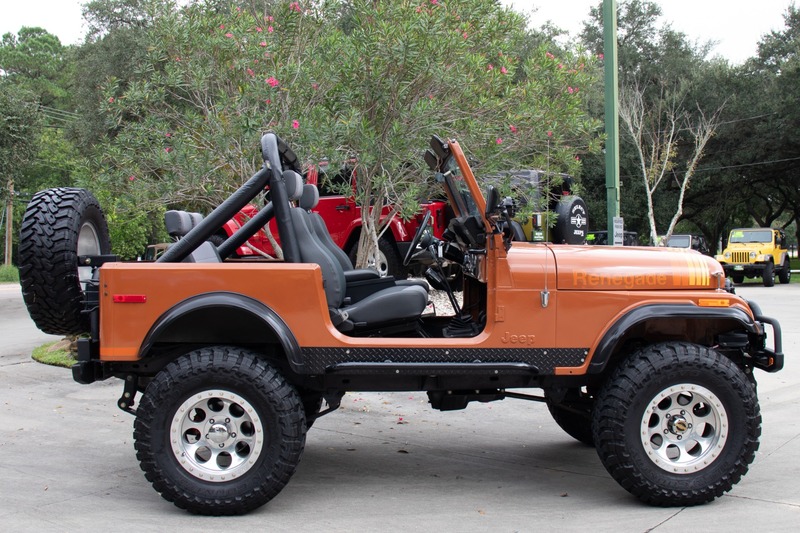 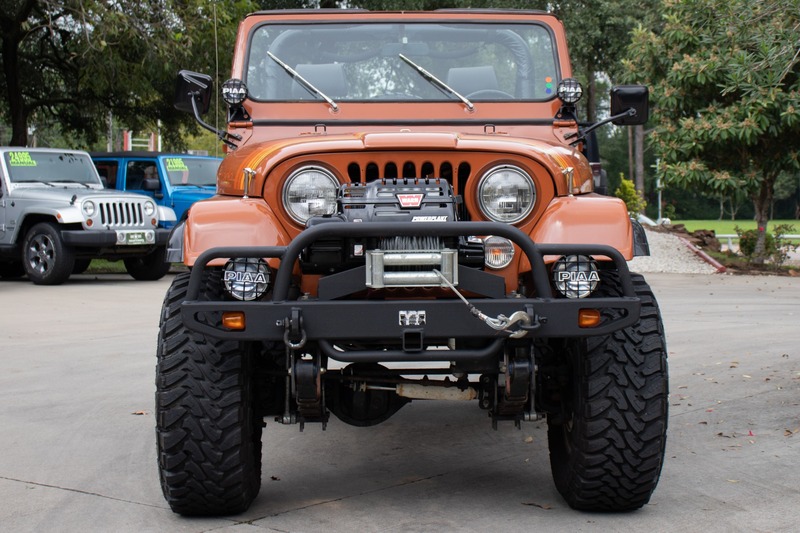 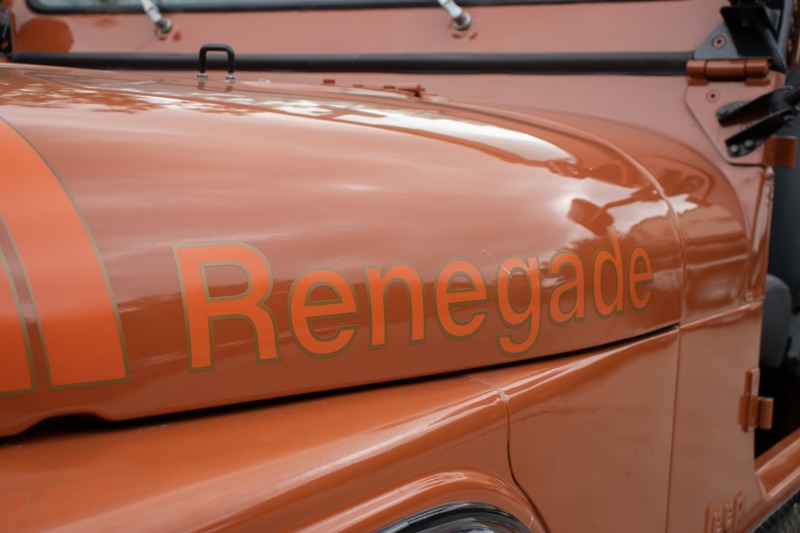 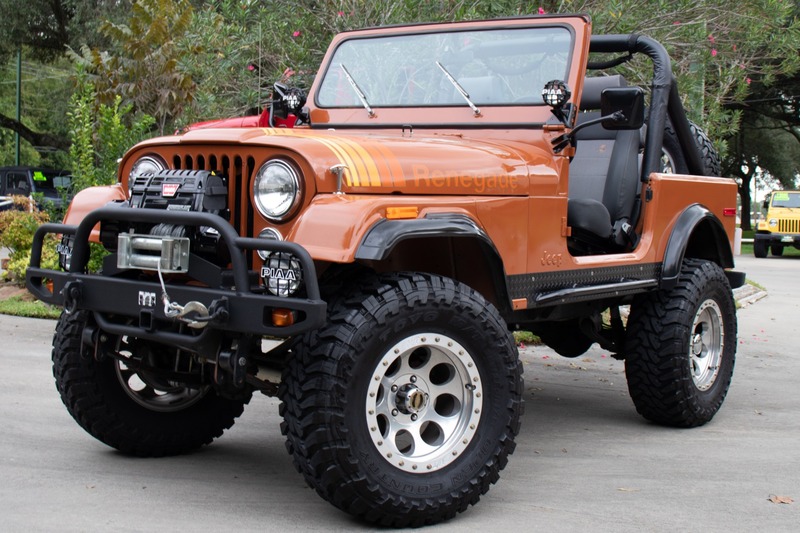 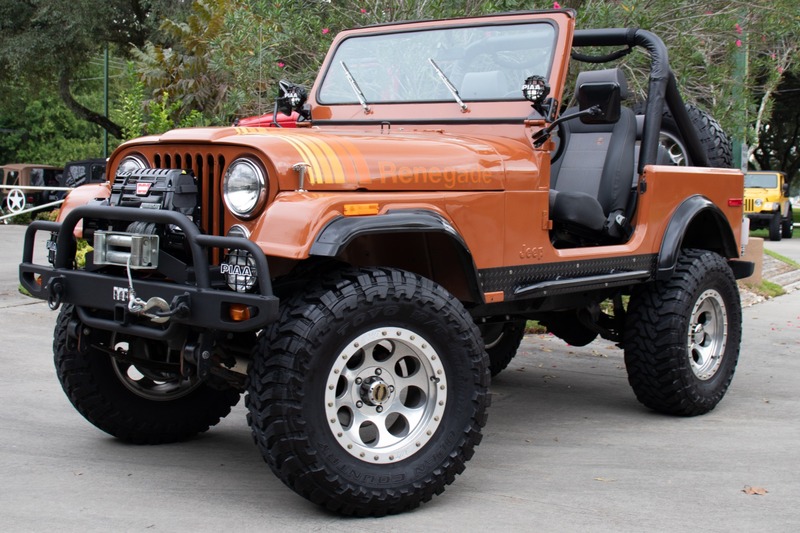 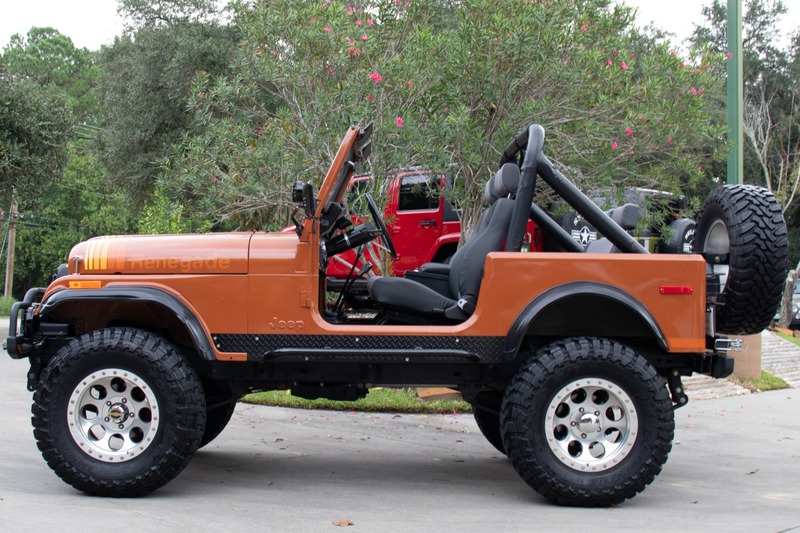 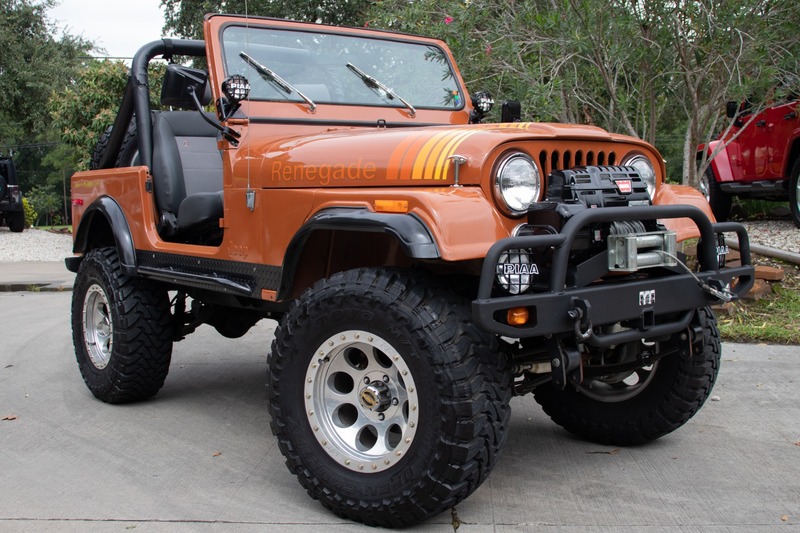 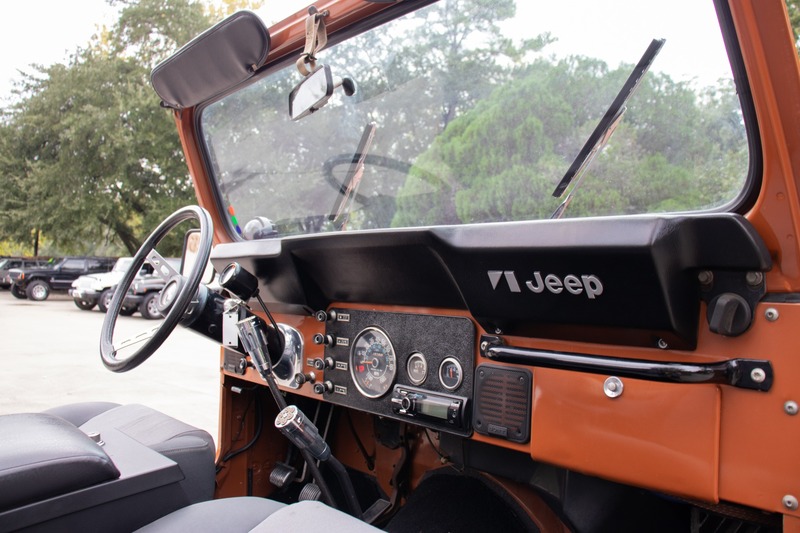 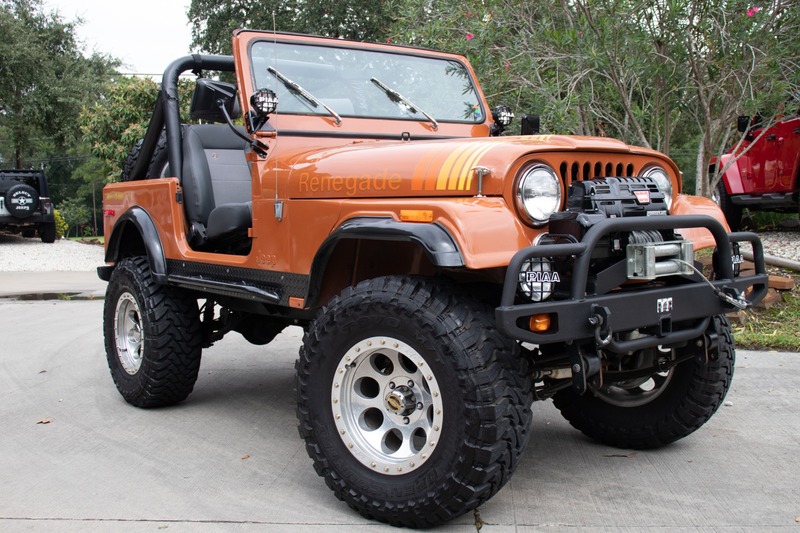 This amazing CJ-7 Renegade is equipped with a Warn winch. 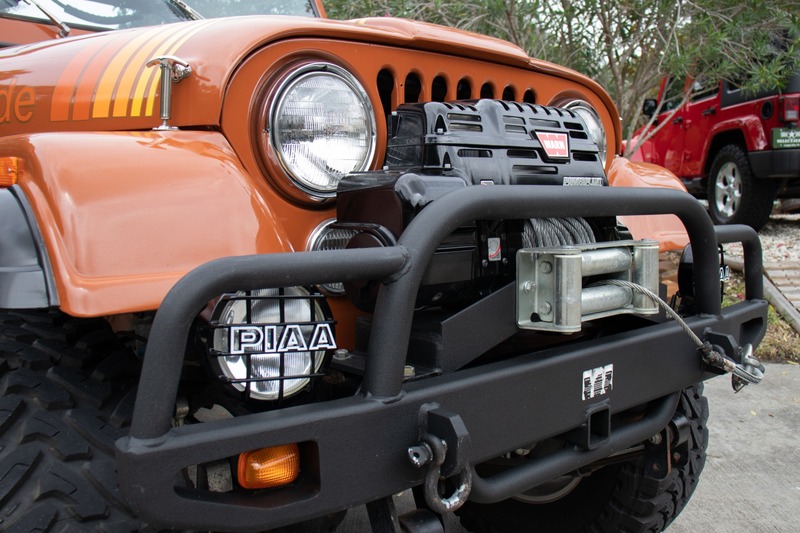 metal front bumper with tow hitch and tow hooks. 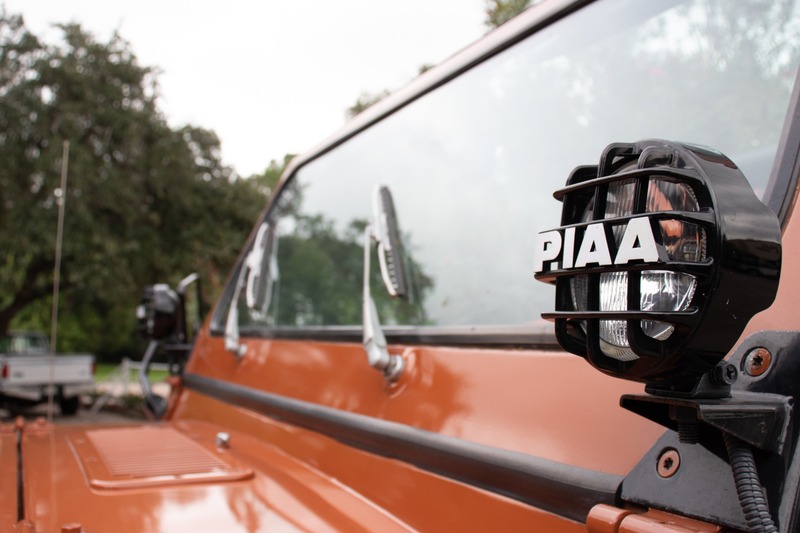 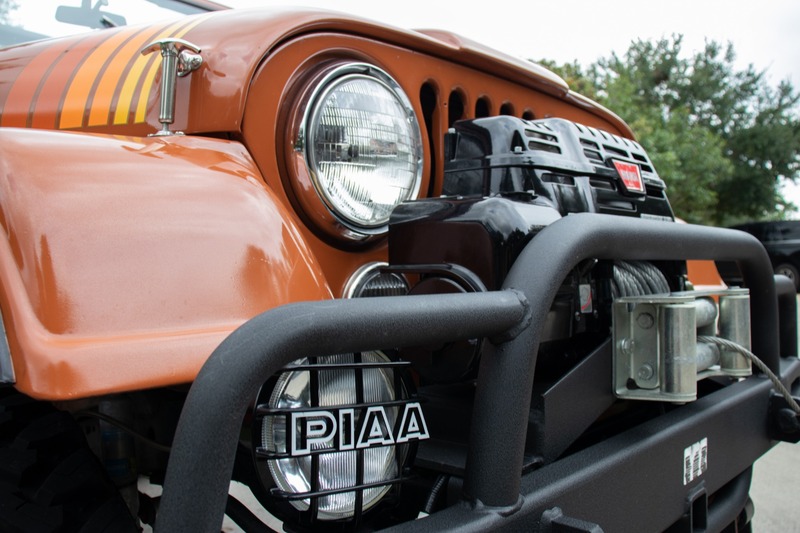 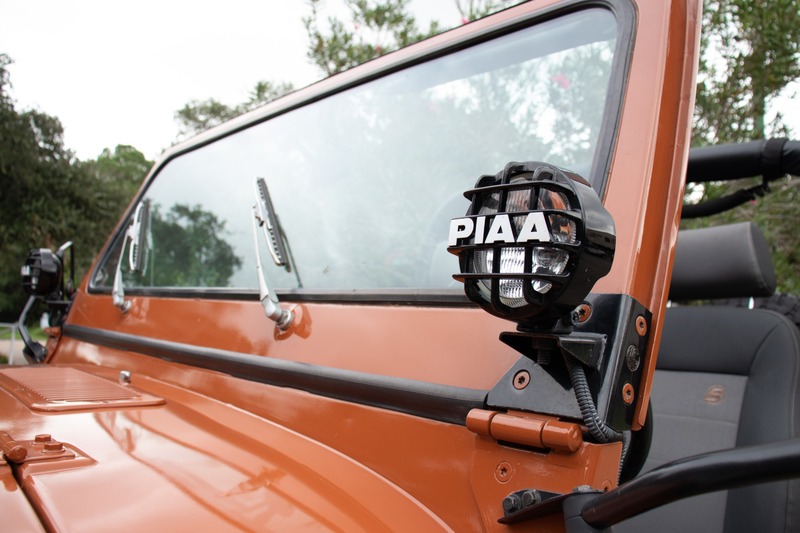 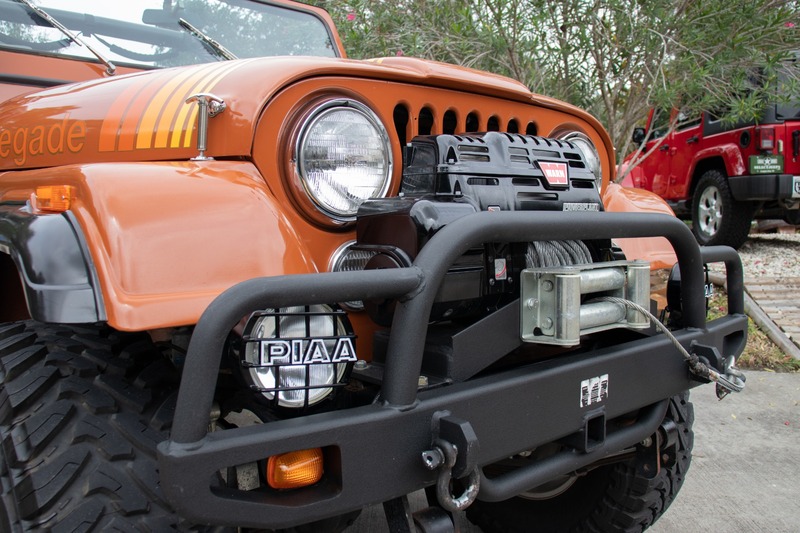 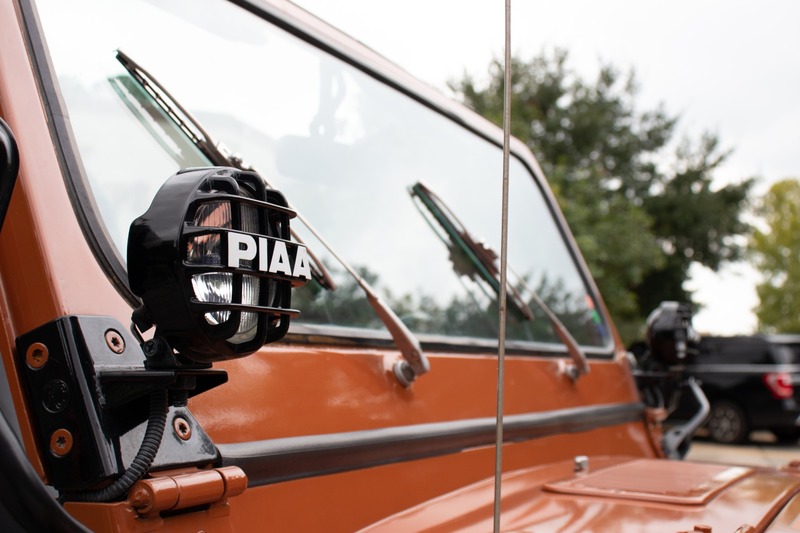 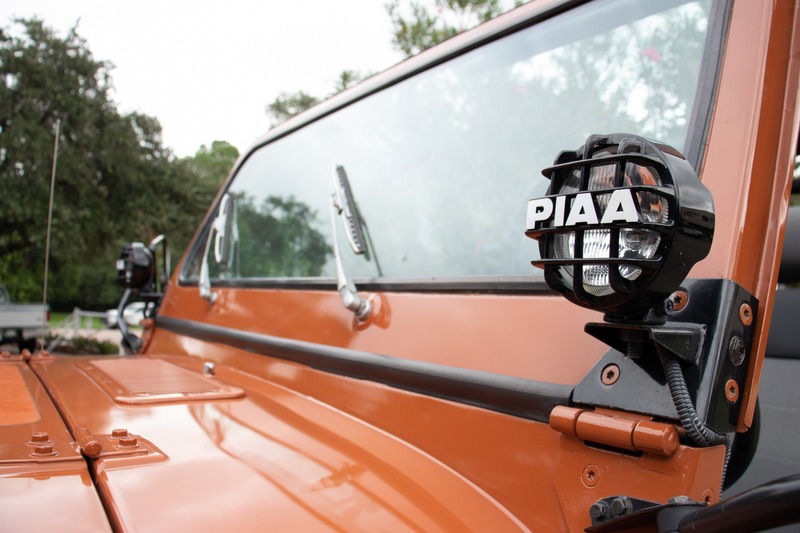 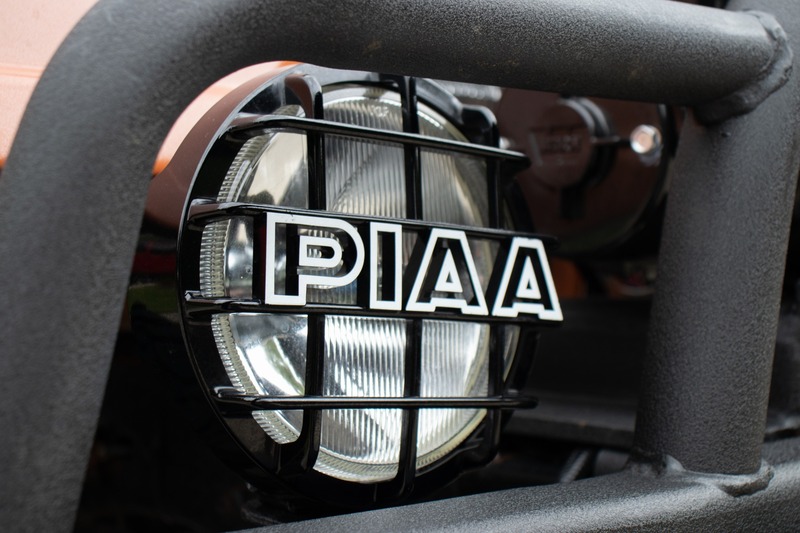 4 PIAA off-road lights. 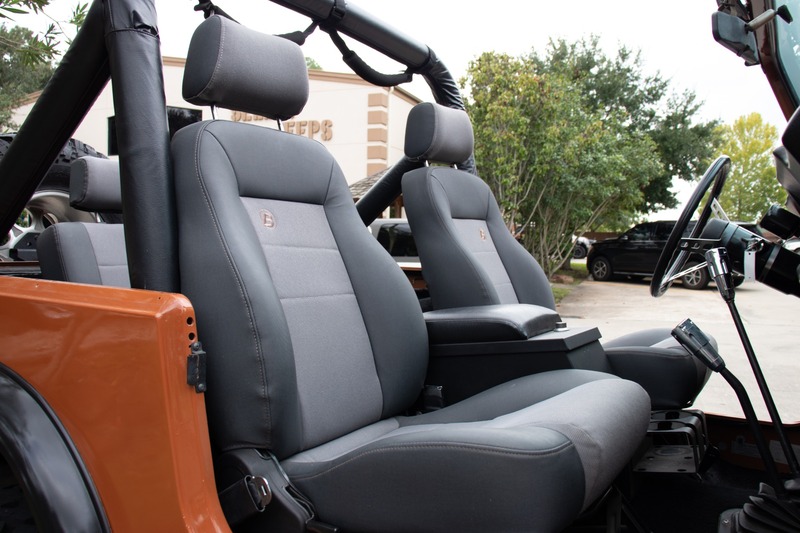 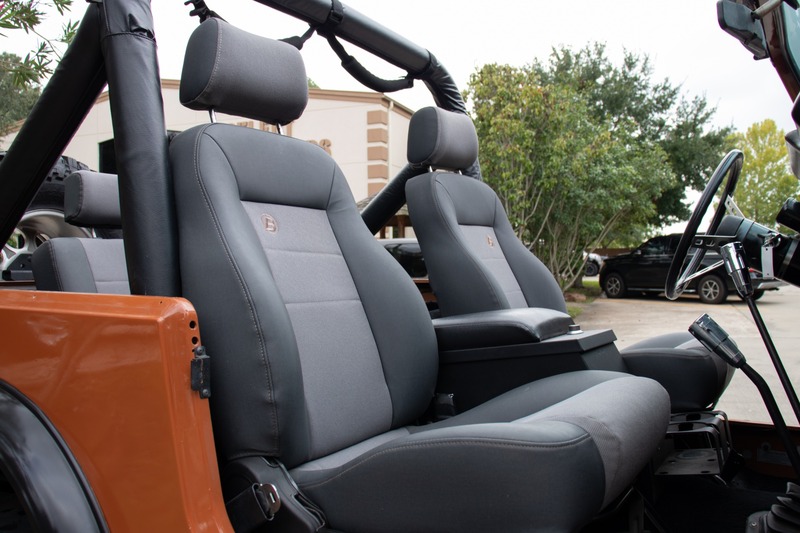 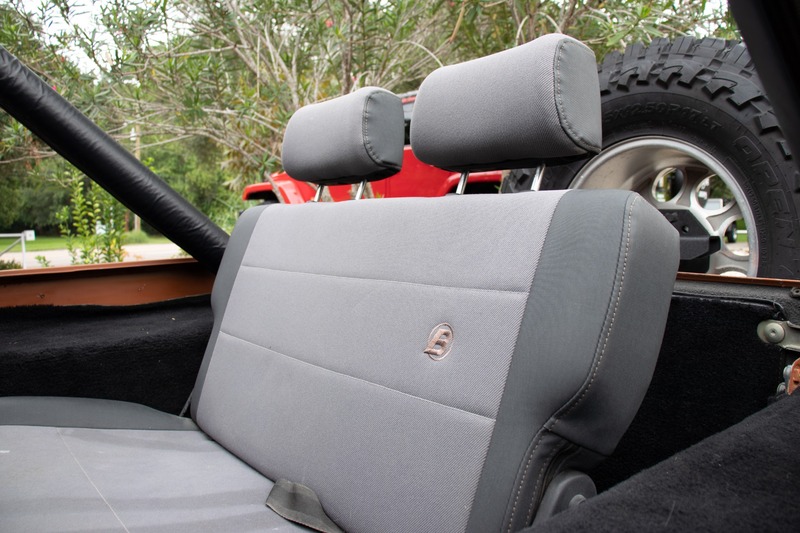 Bilt front and back seats. 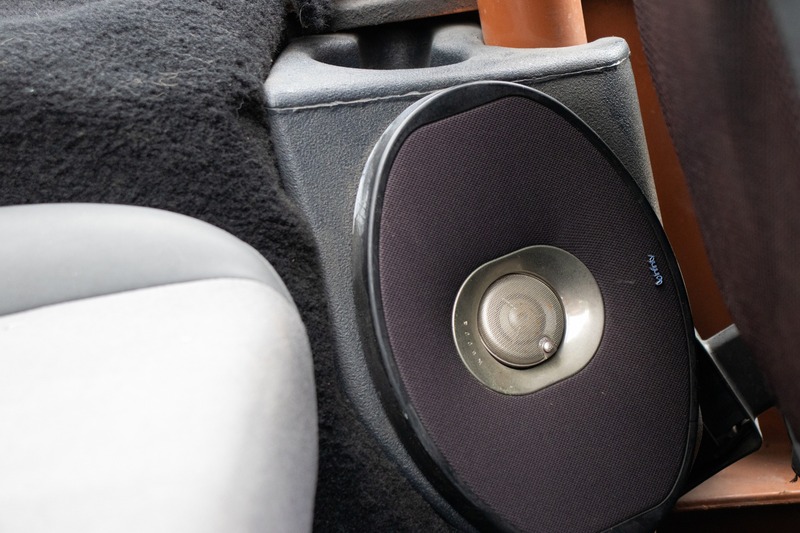 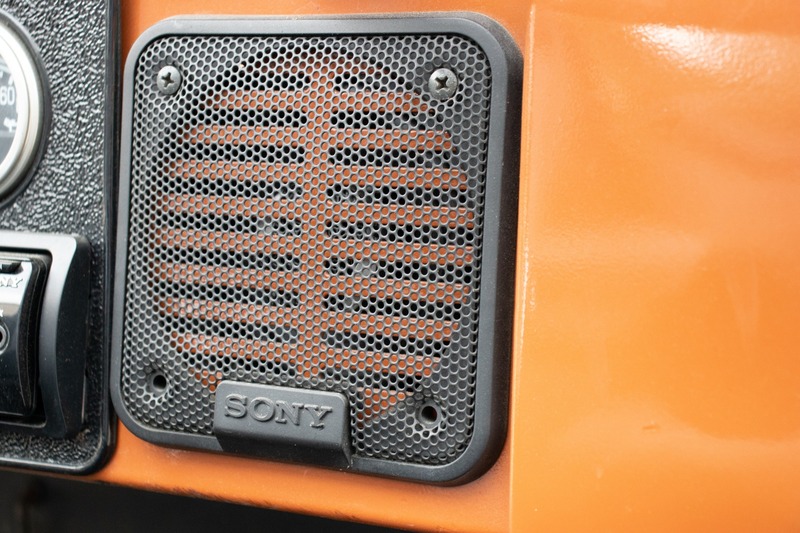 Sony front speakers infinity back speakers. 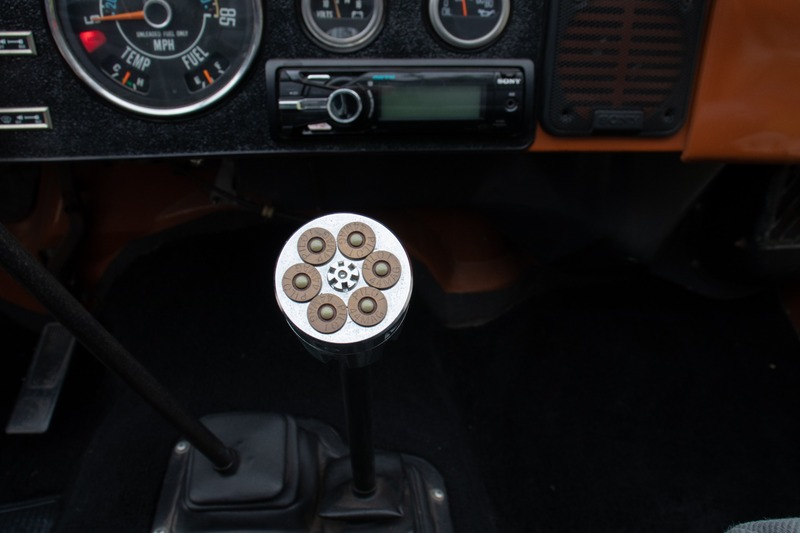 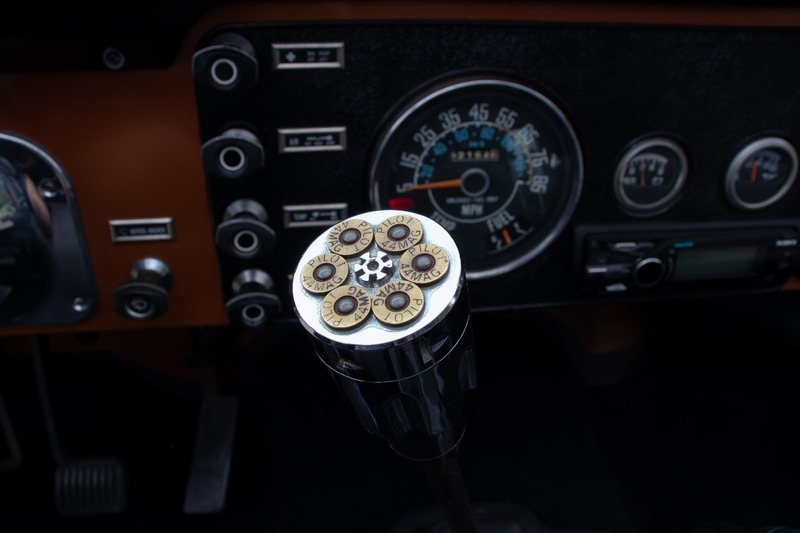 custom pistol cylinder shifter. 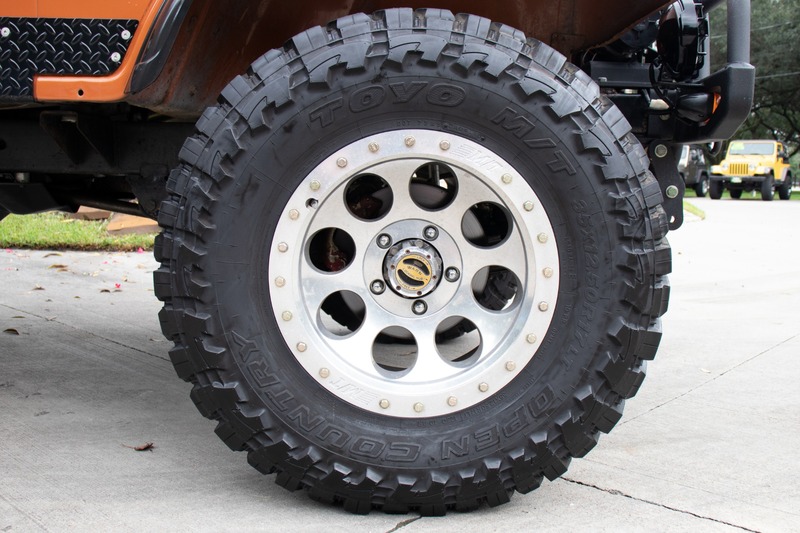 35 Open Country Toyo M/T tires. 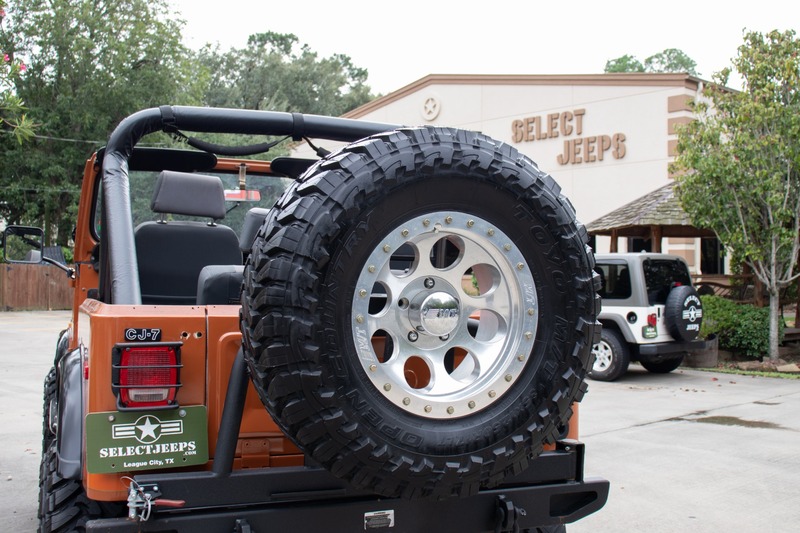 17 M/T wheels. 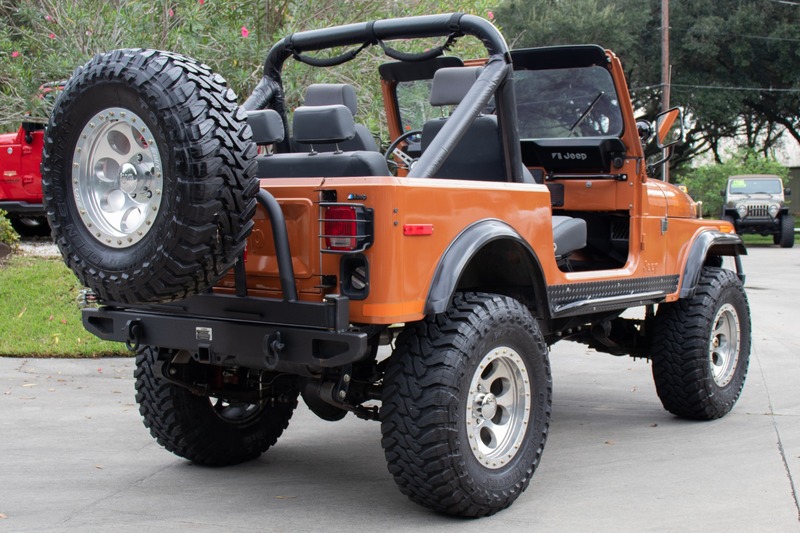 Full-size spare. 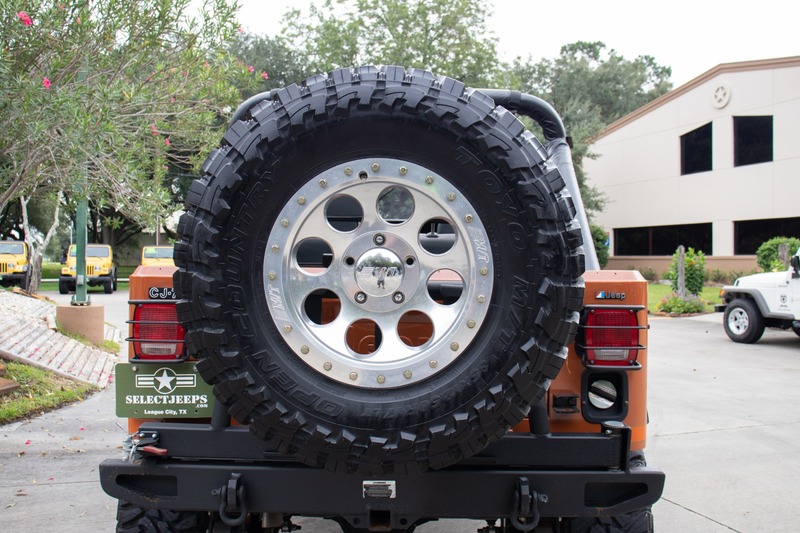 Metal rear bumper with a tire carrier. 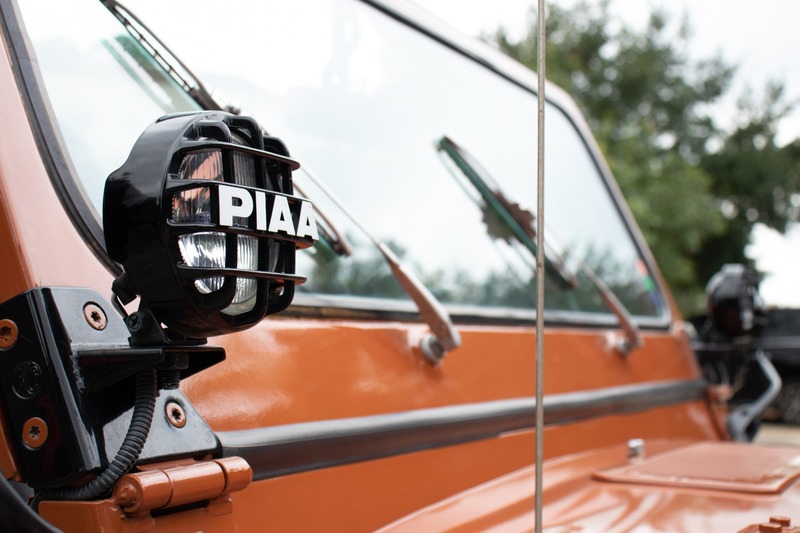 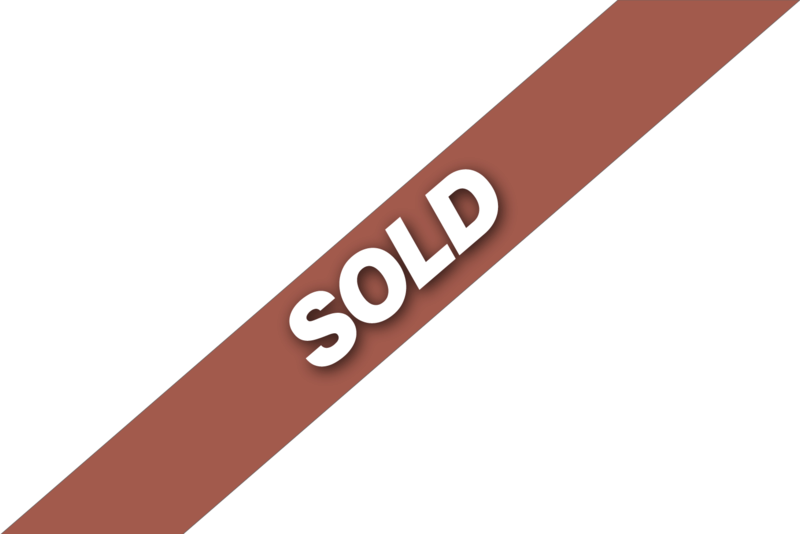 Tow hitch. 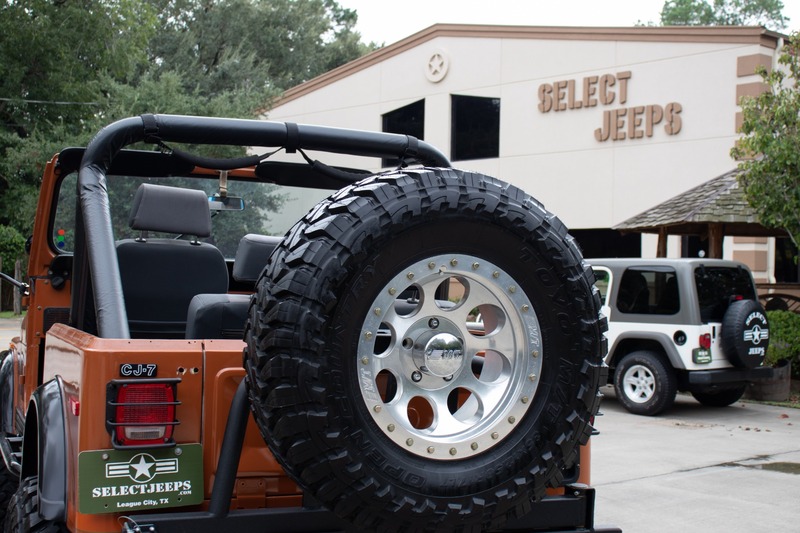 And tow rings. 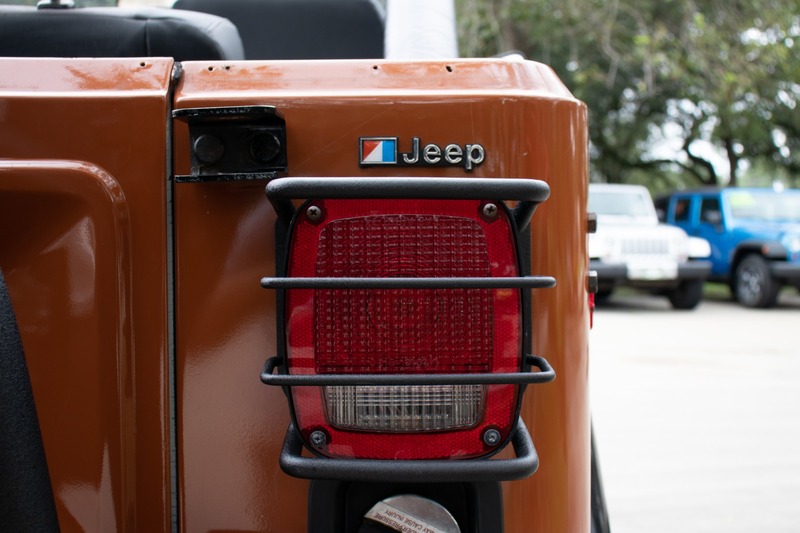 Tail light guards. 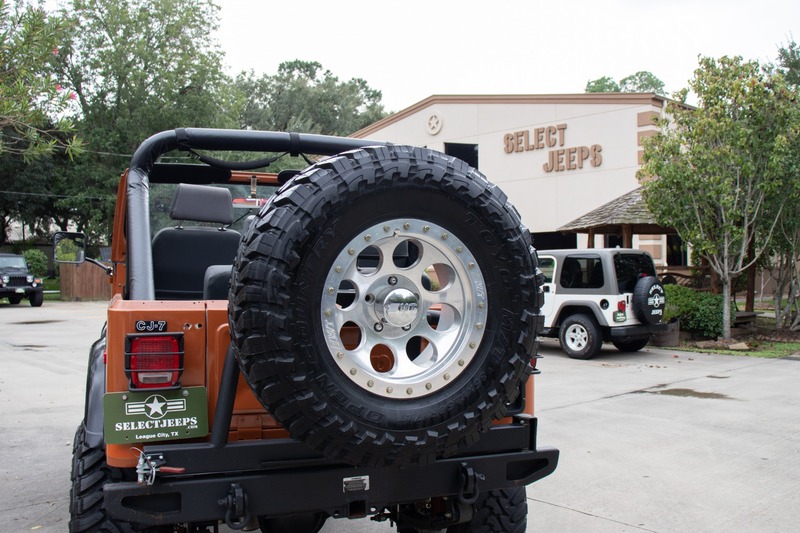 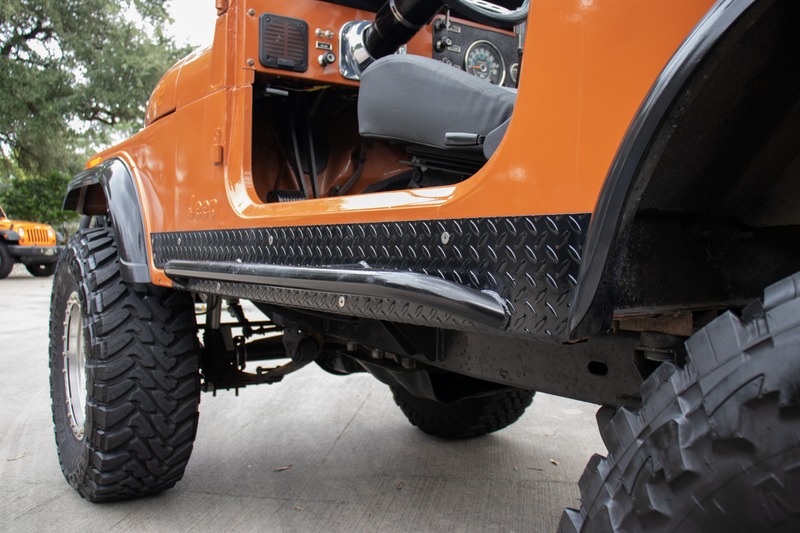 Rock sliders and diamond plated edge guard. 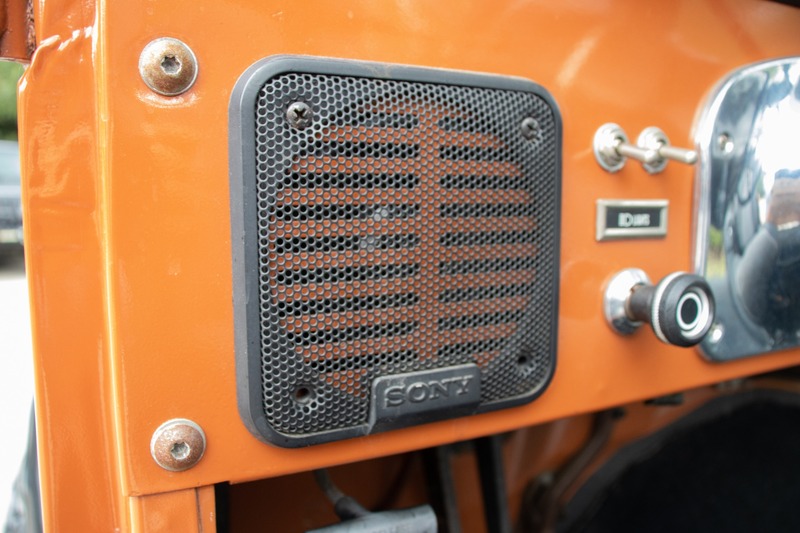 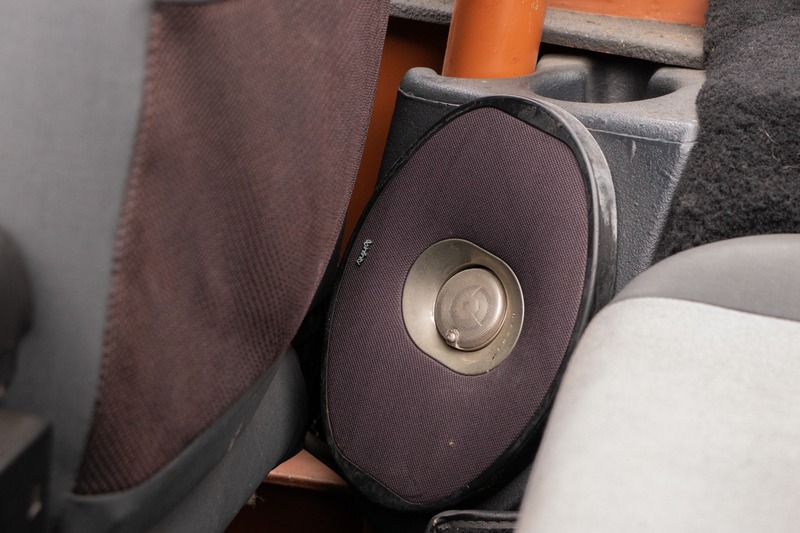 Sony radio with aux inputs. 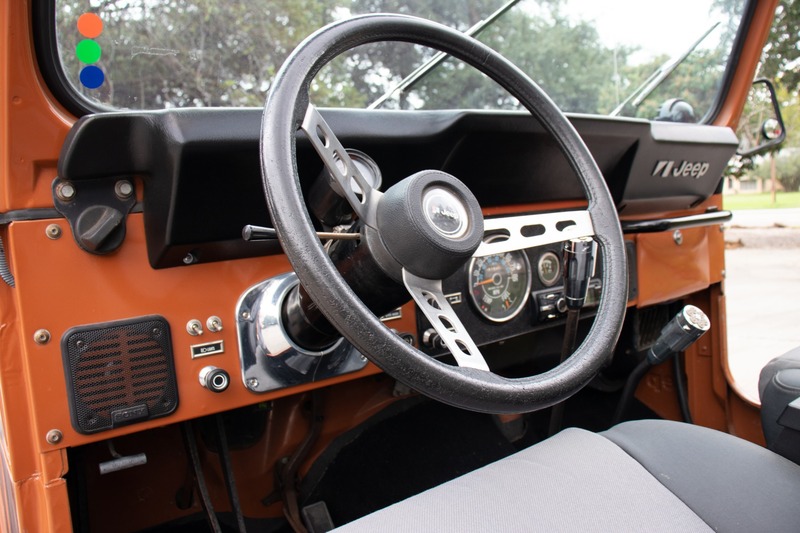 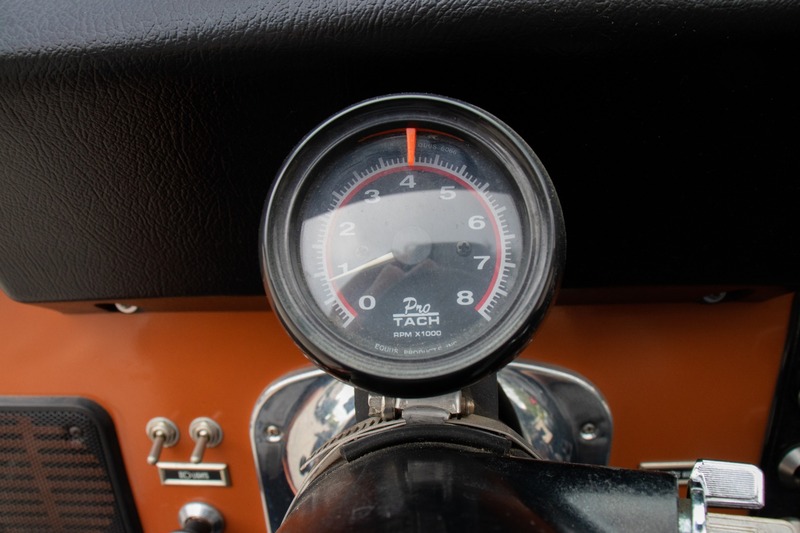 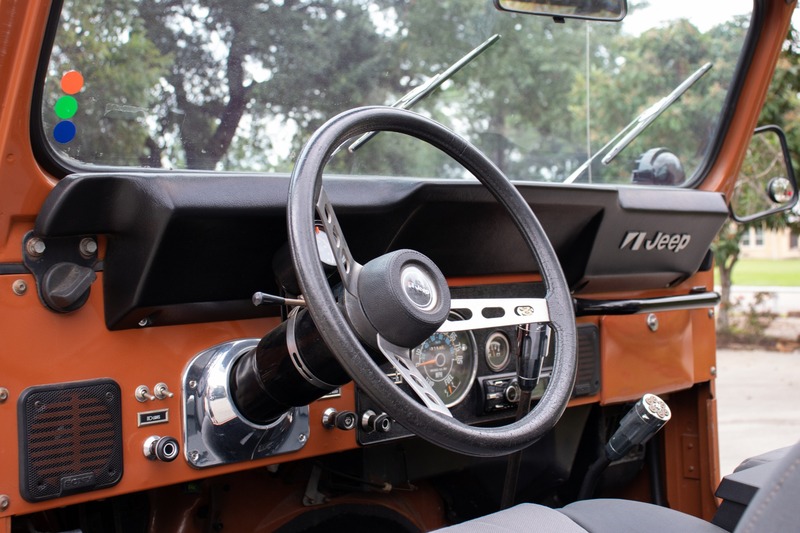 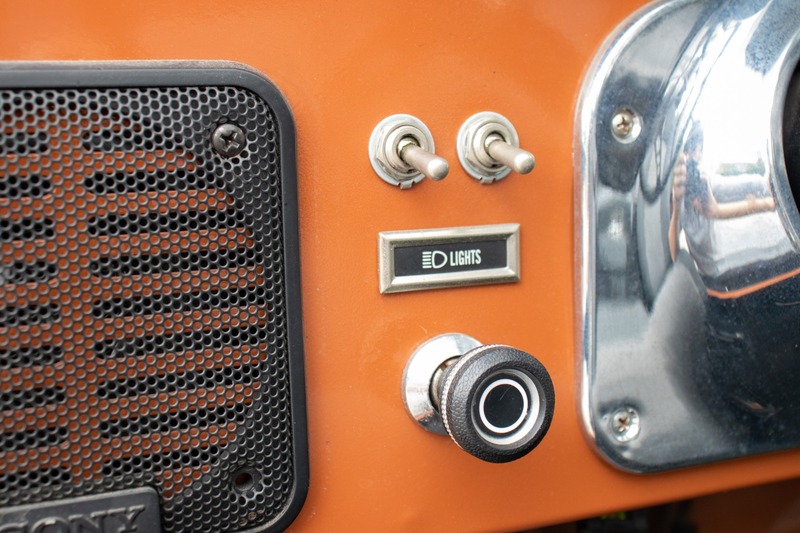 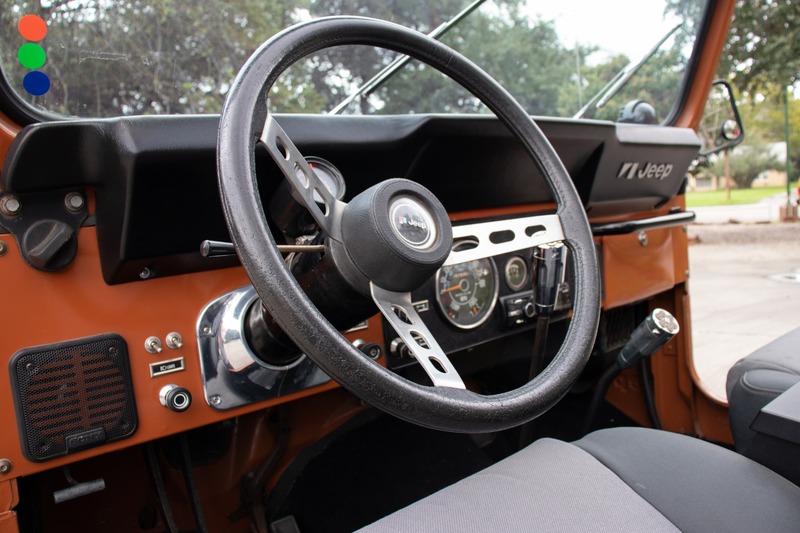 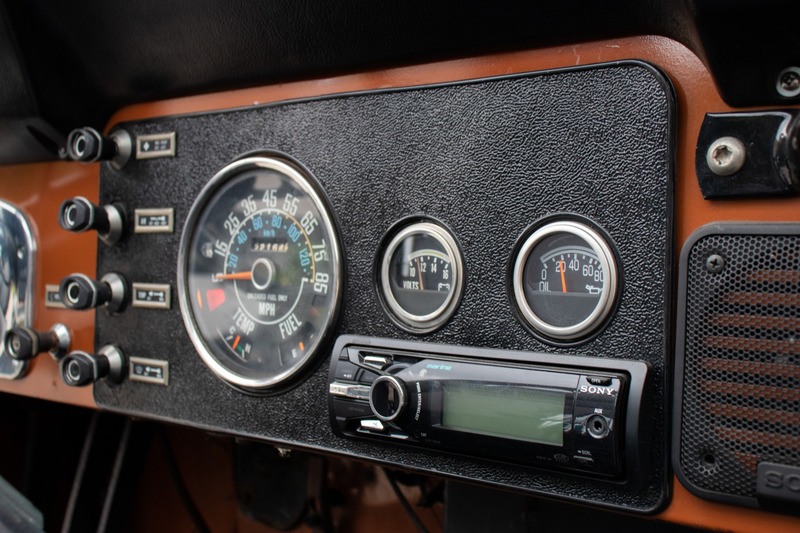 Clean classic interior with working knobs and gauges. 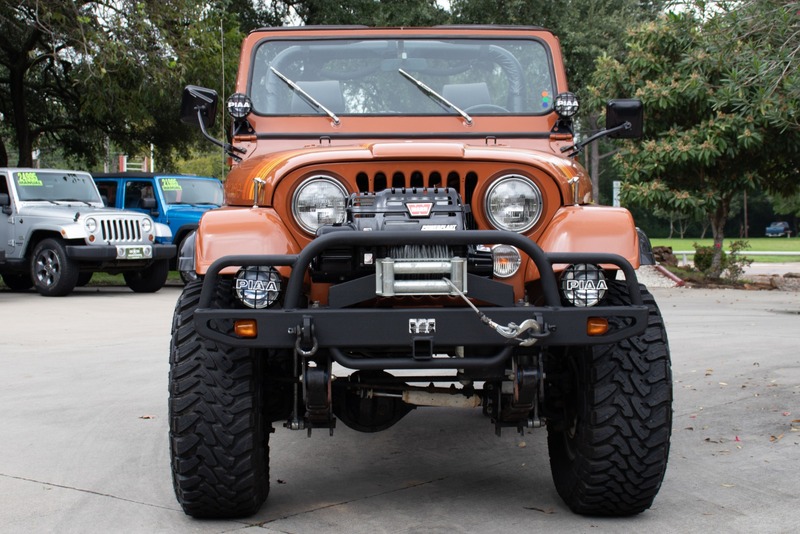 Suspension lift. 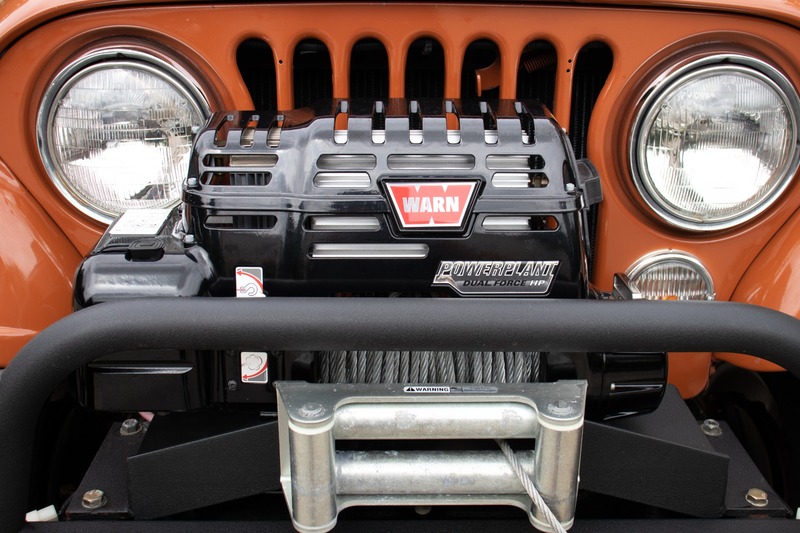 And converted to fuel injection.